East meets West in the music of Alfred Schnittke. The composer's Slavic and German roots led him to explore musical traditions from both sides of the iron curtain, and often to bring them together in mutually illuminating ways. But even he conceded that choral music traditions rarely mix. As a result, he recommended that his works based on Catholic liturgy, the Requiem and the Second Symphony, should ideally be sung by Western choirs, while his Orthodox inspired works were best suited to Slavic choirs. The Psalms of Repentance (known here as Bussverse) fall squarely in the second category. The work was written in 1988 to celebrate the millennium of Christianity in Russia. It takes Orthodox choral traditions and intensifies all the latent emotion by applying a searing dissonant harmonic language. I think it is one of the composer's many underrated masterpieces, a piece that sits in a curious and tangential relationship to his better known Choir Concerto, but that demonstrates an even more profound and emotional response from the composer to the music of Orthodox liturgy. Marcus Creed and his SWR vocal ensemble are one of the few professional choral outfits willing to tackle the dissonant choral repertoire of the 20th century. Their earlier disc of Jolivet choral works demonstrated a positive relish from the singers for the technical challenges that close harmony dissonant textures pose. It is surely this, rather than any anticipated lack of interest from listeners, that has prevented the Psalms of Repentance from being recorded and performed as often as the Choir Concerto, a work which has now firmly established its place in the repertoire. This is the third commercial recording of the Palms of Repentance. The first two are from the Danish Radio Choir and the Swedish Radio Choir respectively. The Swedish version, under Tonu Kaljuste (ECM 453 513-2) is an exceptional disc and is to be highly recommended to anybody with an interest in Schnittke or in recent developments in Orthodox choral music. This SWR recording isn't quite in the same league, but it offers a different approach on the work, and is well worth hearing in conjunction with Kaljuste's version. The Swedes really go for a Slavic liturgical sound. So there is plenty of resonance, plenty of space between the phrases, and while the choir is mixed it is the bass voices that dominate throughout. Creed and his SWR forces take a more analytic approach. The tempos are stricter and consistently a notch faster too. The balance is more even between the voice groups. The choir is, I think, smaller, allowing the details of the choral counterpoint to come through better. The attitude toward the many dissonances in the score is also very different. Kaljuste is happy to treat the more astringent harmonies as suspensions, always anticipating resolution, even when none comes. Creed, in contrast, makes the most out of each of these unusual chords, treating them as a kind of sonoristic basis for the work's harmonic identity. So the dissonant chords are often emphasised, and are always very precisely and evenly pitched, allowing the listener to dissect their mismatched internal intervals. The result is a recording that emphasises the uniqueness of this remarkable score. The tensions within it are brought to the surface, raising all sorts of questions about the work's genesis and the meaning of the negative emotions that the music repeatedly returns to. Kaljuste does that too, but by highlighting the liturgical nature of the music, presents the dark side of the score more as a series of transient doubts in a religious context otherwise infused with hope. Voices of Nature is the ideal filler, not least because it picks up almost exactly where the last movement of the Psalms of Repentance leaves off. Creed and the ladies of his choir have no trouble creating a sense of atmosphere here, and Schnittke gives them a helping hand by crowing their harmonies with a halo of overtones on a vibraphone. This is another fine performance, although it adds little to what is already available on disc. But the Psalms of Repentance are given a genuinely new appearance on this recording, and it is well worth hearing as a result. 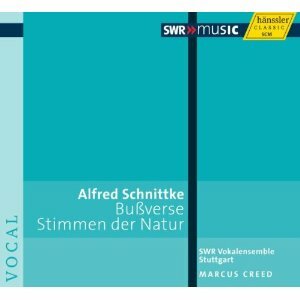 Unlike most Modernists, Schnittke's music really needs interpretation. As a result, there is a great deal of scope for multiple readings of his greatest scores. This one isn't quite as convincing as the Swedish Radio Choir version, but it is a viable and distinct alternative, and the comparison of the two puts the work in a fascinating new light. Günter Wand's Indian summer is surprisingly well documented on DVD, and this Bruckner 5 from the Proms follows similar video releases of the 6th, 8th and 9th Symphonies from the same period with the NDR Sinfonieorchester. But Wand's conducting technique, and the aura that he projects from the podium, make each of these well worth watching. Even from audio-only recordings, it is clear that Wand was a living embodiment of Bruckner's art, and that impression is all the stronger for actually seeing him at work. When this was filmed, in 1990, Wand was 78 years old, and he certainly looks his age. His profile at the podium is as distinctive as any, with his shock of white hair, the pronounced hunch to his back and his long, old-fashioned tails. His baton technique is, for the most part, traditional, and from a technical point of view his conducting is flawless, with every downbeat and every entry clearly indicated. His left hand is busier than his right, carefully shaping the dynamics and phrasing in almost every passage. The emotional complexity and substance of the work are conveyed through Wand's facial expressions, and for all the discipline and rigour in this reading, it is clear that he has a deep emotional attachment to every note. 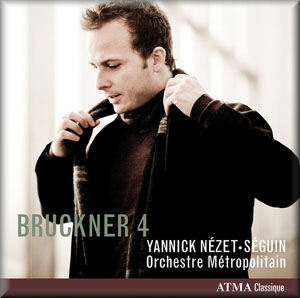 The interpretation is classic Wand, and is as coherent, dramatic and emotive as any of his recorded Bruckner readings. The BBC SO are on good form, and their ensemble and intonation are close to flawless. Their sound quality however leaves something to be desired. The strings often sound brittle and the brass have an uncomfortable edge to their tone. 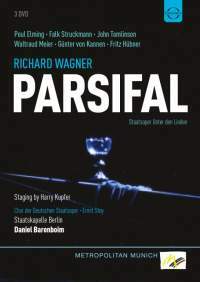 This is where the performance falls short of Wand's more famous audio recordings of the work, with the Berlin Philharmonic and the WDR, both of which present very similar interpretations, but with orchestras known for their superior tonal control. To be fair, the quality of the recording doesn't help the orchestra, nor of course does the catastrophic Albert Hall acoustic. The video was made by the BBC, presumably for television broadcast, and although it is 20 years old, it looks and sounds even older. Presumably the BBC never anticipated that the recording would be issued in this form, but even so the sound quality could be far better. The camera work is a little fussy, with more close-ups of players' faces and fingers than are strictly necessary. The great frustration today is that the camera so often moves away from Wand, whose legendary posthumous status now means that he is the only performer here that we really want to see. For some reason, the camera always pulls away about three seconds before the end of each movement, so we are denied the chance of seeing how Wand affects his impressively definitive endings. An interview with Wand is added as a bonus track. The cover says it was with Michael Berkeley, who doesn't appear, but who must presumably have been speaking German, as Wand himself does. It is just three minutes long, but is well worth see. 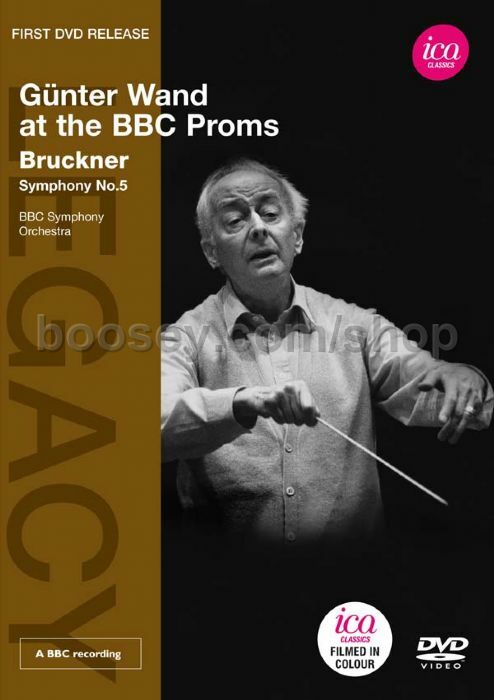 Wand states very succinctly that powerful Bruckner interpretation is achieved by always thinking about the overall structure and by doing exactly what it says in the score. Berkeley doesn't press him on which of his contemporaries he thinks takes liberties. But Günter Wand was such a gentleman, it is hard to imagine him naming names. The Doric Quartet seem to have a Midas touch and any repertoire, however obscure, they commit to disc comes out sparkling. 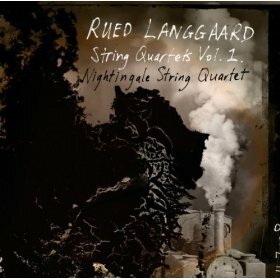 This is their second Korngold release, following an earlier disc of the composer's String Quartets. Praise for that recording was universal, and this one looks set for a similar reception. Given the rapid ascent of this group's reputation, they could be forgiven for cashing in on the core repertoire. If they were to record Beethoven's Quartets, for example, the results would no doubt be among the best on the market and would certainly sell as such. But that's not their style, and the group's commitment to exploring neglected works is all the more admirable for the fact that, commercially speaking, it is wholly unnecessary. Just from rough calculations based on the dates given on the back of the box, Korngold was very young indeed when he wrote these two works. They date from his teens and early 20s, but both sound so thoroughly mature that you could mistake them for the work of a composer twice his age. Perhaps the answer lies in the artistic milieu of his times. This is, after all, music from the end of a long and legendary era of Viennese Romanticism, and it is as if the musical wisdom of Beethoven, Brahms and all their followers has been distilled into the musical persona of this young composer. Direct influences are difficult to spot, which is all the more surprising given the composer's youth. Korngold has moved further from Brahms than many of his contemporaries. The chromaticism and free-flowing counterpoint of Schoenberg's expressionism play a part in Korngold's aesthetic. 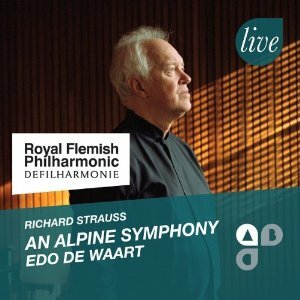 Richard Strauss is also a continuous background presence. The Adagio of the Sextet, for example, opens with a bold two chord statement of a minor chord followed by its tonic major, just like in the opening of Also sprach Zarathustra. Also, like Strauss, Korngold tends to focus the sophistication of his music in the identity and contours of his themes rather than in their elaboration. Not that he shirks his responsibilities in terms of musical development. In fact, he has a rare ability to construct complex contrapuntal textures from his themes without ever making the music sound dense of over-saturated. That makes both works much easier on the ear than, say, Verklärte Nacht or even the Brahms Sextets. The Piano Quintet Op.15 is in three longish movements, and their very length highlights another strength of the young Korngold's art. There is so much variety incorporated into this music, yet everything fits seamlessly together as a logical an integrated whole. The way that calm interludes interrupt the momentum of the outer movements, briefly transporting the listener into some plane outside of time, that's a thoroughly symphonic trait and it owes much to Mahler. The second movement is a set of variations, but again the music's continuity has the effect of integrating each of these sections into a continuous progression. The performance and recording are first rate. The Dorics have found an ideal collaborator in Kathryn Stott, who has no apparent difficulties with the music's many technical demands and who fits seamlessly into the ensemble. That is part of Korngolds's plan, I suspect, and he never writes anything that might set the piano in opposition to the strings. In fact, he often uses heavy pizzicatos from the string players to imitate the attack of the piano. This, and many other of Korngold's textural devices, work all the better for the Dorics' assertive but always precise and controlled playing. Listening to the String Sextet, it is unclear exactly why Korngold chose to use so many instruments. Unlike Brahms, he is not interested in what bass-heavy textures can do for his chamber music. And unlike Schoenberg, he is not after richly-saturated, enveloping textures. Counterpoint is a continual preoccupation, so perhaps the extra players are used simply to provide extra melodic lines. Whatever the answer, there is a surprising lightness about much of this music. As with the Quintet, there is impressive variety too. Perhaps it is not quite to the same compositional standard as the later work, but it's certainly close, and if you didn't know, you'd never guess that it was the work of a 19-year-old. 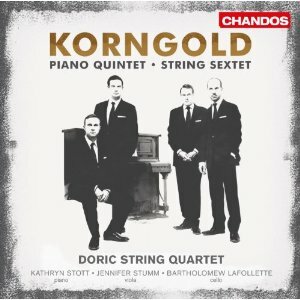 As with previous Doric Quartet releases on Chandos, the sound quality is excellent, clear and detailed but also immediate and involving. A louder piano sound could be justified, although in the context of this interpretation the balance seems fine. Similarly with the bass in the Sextet, we could hear more from the bottom of the texture, but instead the engineers have gone for an even response across the range, which better matches Korngold's finely balanced textures. Even by the Doric Quartet's now well-established standards, this is an impressive release. Hopefully the obscure repertoire won't put off potential listeners, as playing of this standard deserves to find the widest possible audience. Iannis Xenakis had a natural affinity for numbers and mathematical concepts, but his relationships with musical instruments were a little more complex. His works for solo instruments usually fit under the fingers, but their idiomatic qualities are rarely based on a deep understanding of the repertoire. Xenakis also had a perverse interest in creating technical difficulties for players to negotiate. And you don't do that by just writing lots of notes, it takes a real understanding of what is possible to play and what is not if you are planning to position your music squarely on the border between the two. 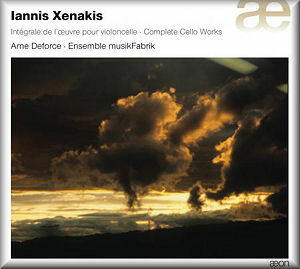 The works on this disc span the second half of the 20th century and give a taste of every period in Xenakis' career. The quality and interest peak in the 1960s and then go into slow decline. The most famous work on the disc, and deservedly so, is Nomos Alpha written in 1966. This is one of Xenakis' greatest masterpieces and by any estimation deserves a place among the top few cello works of the 20th century. The mathematical principles on which it is based are derived from successive projections of a rotating cube. Or at least I think that is what's going on, the liner notes are mercifully vague when it comes to the technical end of things. But you don't need any knowledge of maths to enjoy this. As with many of Xenakis' string works, Nomos Alpha calls for heavy scraping on the strings and includes lots of tremolo glissando. So the music is always in a state of flux, either from the continuously changing pitch or through movement across the continuum between noise and sound. The technical challenges here are just extraordinary. At the end, for example, the cello plays a series of scales in contrary motion on artificial harmonics. The mind boggles trying to imagine the contortions the cellist's left hand must go through to achieve those. None of the other works on the disc quite match this opening track for invention or originality. The two tracks that follow, Charisma for cello and clarinet and Kottos again for solo cello, are unremittingly aggressive. Xenakis chooses the performance techniques that are going to produce the most abrasive sounds and pursues them doggedly. There is musical interest to be had here, but it takes some work. Epicycles for cello and 12 instruments is similarly unrelenting. The block chords from the brass here resemble those in Eonta. But that work succeeds because the lack of rhythmic interest in the brass is more than compensated for by the piano. Here the solo cello line also lacks rhythmic invention, as if the composer's interests lie only in his harmonic elaborations. Interesting as they are, they don't make up monotony of rhythm and orchestration. Roscobeck, a more recent work from 1996, achieves an impressive feat by combining cello with double bass and coming up with a range of musical textures and ideas that justify the pairing. The high quality of the sound reproduction helps to clearly articulate these bass textures. And the balance is kept even down at the bottom, with no extraneous bass amplification, all the better to admire these these strange timbral combinations. The programme ends with an early work, Dhipli Zyia. This shows another side to Xenakis, one that is closer to Bartók than to the post war avant garde. The piece never quite breaks out into a folksong but always feels like it is about to. No great technical challenges on this last track, but by this point cellist Arne Deforce has earned the right to rest on his laurels. The cello playing throughout is excellent, especially when you consider the astonishing challenges the composer sets. The cellist, his various collaborators, and the sound engineers all make a good job of the brutal noise-like textures, and the sound of the cello always has a visceral immediacy, even though the microphones are usually placed a reasonable distance back. The first track of this disc is more than enough to recommend it, and the endless fascination of Xenakis' score repays multiple listenings, especially with a performance and recording of this quality. The other works are only likely to be of interest to already committed Xenakis fans. Although if you really want to get your head around the relationships between higher mathematics and Modern music, this would be a great place to start.